* Our reliable and secure delivery service is available all across Australia. * Once you have placed your order, one of our sales team will contact you to arrange delivery. * On all our pallet deliveries, we instruct the driver to call you 1 hour before delivery. 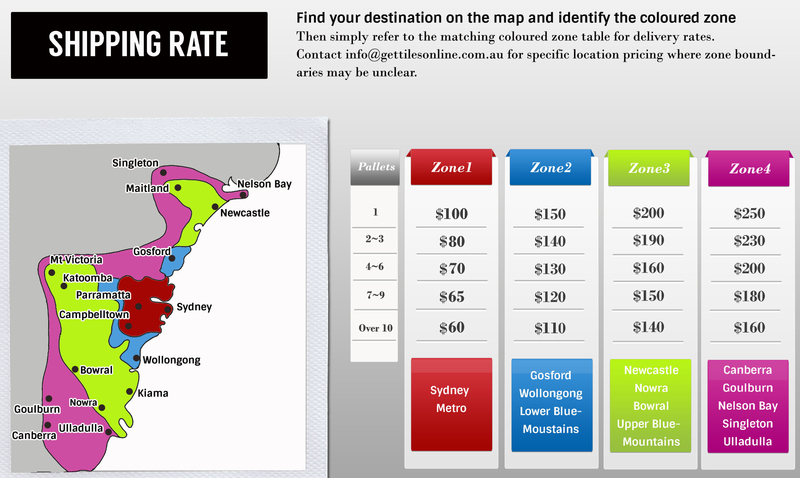 * Delivery charges are usually determined by the size of the order and the destination. * Please see Shipping Rate Guide. - Subject to stock availability, there are generally 3 – 5 working days. 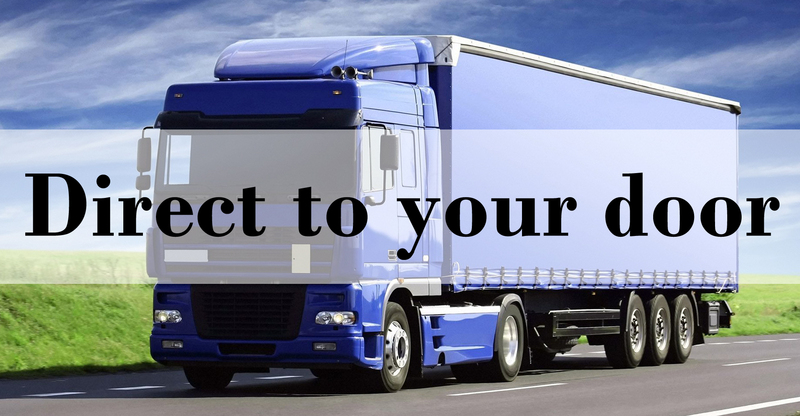 - Please contact to below transport companies to get the best delivery quote. - Delivery will be organised via tailgate with pallet jack; receiver must have a flat concrete surface to unload onto. - After your booking, please contact us info@gettilesonline.com.au for the date of pick up.